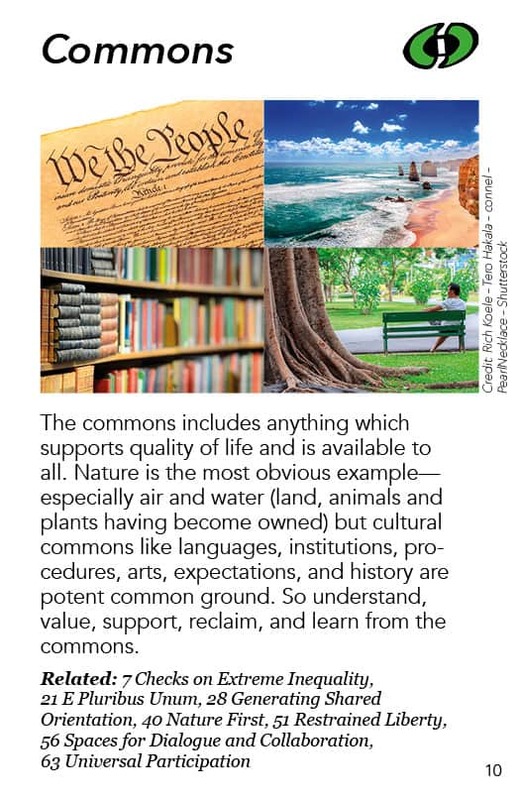 The commons includes anything which supports quality of life and is available to all. 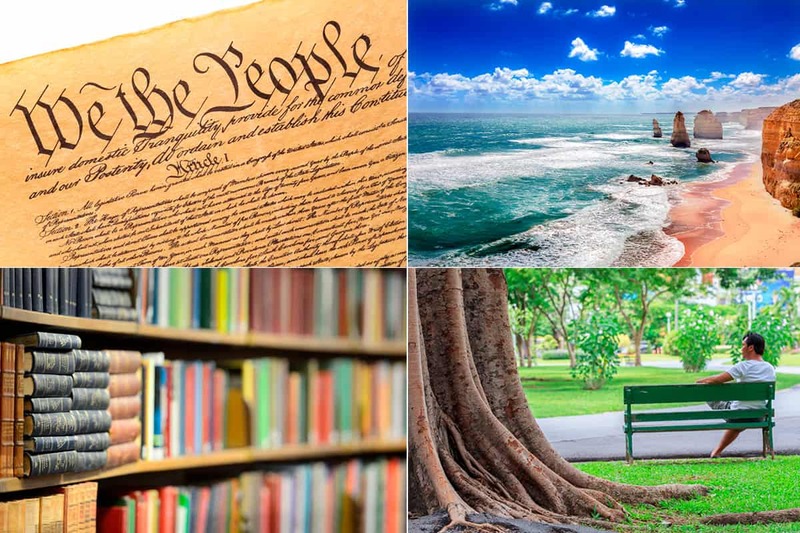 Nature is the most obvious example—especially air and water (land, animals and plants having become owned) but cultural commons like languages, institutions, procedures, arts, expectations, and history are potent common ground. So understand, value, support, reclaim, and learn from the commons. If you want a wise democracy, you need to have very rich commons to encourage people being together and taking responsibility together. There is an associated pattern called “Deep Time Stewardship” which is very closely tied to the commons. Everybody is taking care of it, this thing which we all use. It is ours. It is something that includes everybody: “We use the streets.” “We use the sidewalks.” They are part of our commons. We need to take care of them. Thanks Tom. Yes I have the patterns of commoning book which is a loosely structured collection of essays about the Commons. I think this website could be very inspiring for people involved in that field – it’s very closely related to this. I also just realised that the fact that there are ‘no “standard template” for commons; merely “fractal affinities” or shared patterns and principles among commons.’ means this pattern language would be of potential great use to people who identinfy as commoners. In my explorations around my comment above I stumbled on a book exploring Patterns of Commoning, which I’ve added to the resources list. Congratulations on such a fantastic website! Regarding the core definition of this pattern, from my experience of being involved with Commoning groups there is distinction between what a Commons is and a Common Pool Resource. The definition here seems closer to that of the latter. That’s a fascinating – and probably more holistic – way to look at Commons, Andy, albeit different from the mainstream sense of it. That mainstream sense of commons is reflected in the Wikipedia entry on the subject https://en.wikipedia.org/wiki/Commons and the dictionary definition (“land or resources belonging to or affecting the whole of a community”). This definition is reflected in one of the definitions you give above: “The wealth that we inherit or create together and must pass on, undiminished or enhanced, to our children” – which obviously would include the Deep Time Stewardship pattern as a perhaps missing “related pattern” to this Commons pattern. I will put in the resources section both your link to Bollier and the great P2PF Wiki great discussion of “commoning” https://wiki.p2pfoundation.net/Commoning. I can imagine this pattern evolving into Commons and Commoning for WD-PL Version 2.0….